Intergroup Minutes – March 2015 – Lincoln Nebraska A.A.
Minutes read by Intergroup attendees. Treasurer’s Report – Nothing new to report. Hotline- 43 calls- 37 for meeting info, 1 not answered, CO – 2, 4 12th step calls. Will also be contacting Marcela at central office to discuss hotline stuff. Corrections – All facilities are in need and should be contacted directly. More Info will be posted at the bottom of minutes. The facilities need volunteers. Central office – Gain for January. Central Service Officers will be visiting groups to thank for donations and ask why they haven’t donated. Sean voted in as NEW WEB CHAIR. For those interested in becoming A.A. volunteers in the correctional facilities in the Lincoln area, here at list of those facilities, as well as information about who to contact if you would like to apply to become a volunteer. All facilities require the volunteer to fill-out an application and undergo a background check before being admitted into the facility. They also require volunteers to take an orientation class. 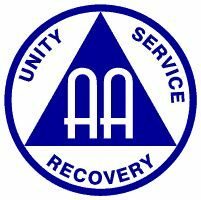 In general, the facilities want A.A. volunteers who have at least one year of sobriety. If you have a criminal record, you are still eligible to apply, but each facility has its own admission policies and procedures for determining if you will be accepted. The best way to find out what those policies are is to contact the facility directly. If you are cleared to go into one facility, you are NOT cleared to go into the others. County Jail, 3800 West 0 St.: This is the Lancaster County jail. This facility is looking for both male and female volunteers. Days and times are flexible. The volunteer coordinator is Sherry Kotter, at 402-441-1900, extension 24153. The A.A. contact person is Joe G., at 402-474-4804. Community Correction Center, Lincoln (CCCL), 2720 West Van Dorn: This is a state work release prison. Both male and female volunteers can take meetings into the facility. This facility is also looking for a volunteer to chair at weekly meeting that the prisoners would receive credit for attending. The contact person at the facility is Pam Florang at 402-471-0813. The A.A. contact person is Tom E. 402-840-5555. Diagnostic and Evaluation Center (D & E), 3220 West Van Dorn: This is a state facility. Men only. Looking for help at the Monday and Wednesday night meetings; a part-time volunteer at each would be appreciated. The contact person at the facility is Pastor Price at 402-471-3330. The A.A. contact person is Bill 0. at 402-475-9341. Lincoln Correctional Center (LCC), 3216 West Van Dorn: This is a state facility. Nebraska State Penitentiary (NSP), 4201 South 14” Street: This is a state facility. Tuesday night meeting before deciding on becoming a volunteer. Residential Treatment Community (RTC) 4201 South 14”’ Street: This is the state’s lockdown treatment center. Men only. Currently has one meeting with outside volunteers, Saturday at 7:30 p. m. They are looking for a part-time volunteer to fill-in when the regular volunteers are unable to attend. The contact person at the facility is Ashley Emerson at 402-479-3039. The A.A. contact person is Bill 0. at 402-475 9341.